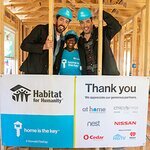 Horatio Alger Association of Distinguished Americans, Inc., a nonprofit educational organization honoring the achievements of outstanding individuals and encouraging youth to pursue their dreams through higher education, today announced that multi-media entertainer and entrepreneur Reba McEntire has been selected for membership in this prestigious organization. Ms. McEntire joins 11 other esteemed business, civic and cultural leaders from across North America in receiving 2018 honors. For more than 70 years, the Horatio Alger Award has been annually bestowed upon admired leaders who have succeeded despite facing adversities, and who have remained committed to higher education and charitable efforts in their local communities. Ms. McEntire, the third in a family of four children, grew up on a cattle ranch in the small, rural town of Chockie, Oklahoma. Her father expected all the children to work on the ranch and Ms. McEntire began riding horses at the age of three. By the time she was seven, she was gathering cattle from before daylight until after dark. In what little spare time she had, McEntire also competed in rodeos as a barrel racer — a sport she continued until she was 21. As a child, Ms. McEntire’s mother taught her and her three siblings how to sing and harmonize as they traveled to and from their father’s rodeo performances. While in high school, Ms. McEntire and her siblings formed their own group, The Singing McEntires, and performed frequently at rodeos, clubs, and dance halls. Ms. McEntire attended Southeastern Oklahoma State University, graduating with a major in elementary education and a minor in music. She continued to work on her father’s ranch to help pay her tuition. While the more predictable career paths for Ms. McEntire would have been to become a teacher or barrel racer, she was determined to pursue her dream of becoming a country music artist. Ms. McEntire got her first break singing the national anthem at a rodeo in 1974, which resulted in an invitation to move to Nashville and ultimately a deal with Polygram Mercury Records. Although her first recordings were not an immediate success, Ms. McEntire worked diligently, releasing a series of increasingly popular albums and winning the CMA Female Vocalist of the Year Award four years in a row, from 1984 to 1987. As the only country female solo act to have a No. 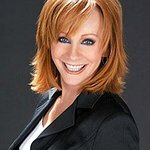 1 hit in four straight decades, Reba has achieved a rare pinnacle with 35 No. 1 singles and over 56 million albums sold worldwide often prompting her to be called the “queen of country music.” The Country Music Hall of Fame and Hollywood Bowl Hall of Fame member has won 15 American Music Awards, 13 ACM Awards, nine People’s Choice Awards, seven CMA Awards, two GRAMMY Awards, an ACM Career Achievement Honor and the National Artistic Achievement Award from the U.S. Congress, in addition to other leadership and philanthropic accolades. With SING IT NOW: SONGS OF FAITH AND HOPE (Nash Icon Records / Capitol Christian Music Group), which topped both the Billboard Country and Christian/Gospel charts for multiple weeks and marked her thirteenth summit, Ms. McEntire won her first GMA Dove Awards for Bluegrass/Country/Roots Album of the Year as well as a GRAMMY Awards nomination for Best Roots Gospel Album to be broadcast live on January 28, 2018 on CBS. Her creative and entrepreneurial endeavors have established her as a household name across music, television, film, theater and retail. Proving her business acumen, Ms. McEntire has expanded her brand to include lines with Dillard’s and Justin Boots. She wrote her autobiography, Reba: My Story, in 1994, and a second book, Comfort from a Country Quilt, in 1999. Ms. McEntire is also an acclaimed actress with 11 movie credits, a lead role on Broadway and starred in her own six-season television sitcom “Reba,” for which she received a Golden Globe nomination in 2004. Ms. McEntire is also well-known for her charitable efforts, working with organizations such as The Salvation Army, Texoma Medical Center, Children’s Medical Research, Habitat For Humanity, Outnumber Hunger and more. The Texoma Medical Center in Denison, Texas, is home to the Reba McEntire Rehabilitation Center, Reba’s Ranch House, and the TMC Reba Mobile Mammography Unit. In recognition of her philanthropic efforts, Ms. McEntire has received the Salvation Army Award, the Home Depot Humanitarian Award and Minnie Pearl Humanitarian Award. Ms. McEntire and the Member Class of 2018 will be formally inducted into the Association on April 5-7, 2018, during the Association’s 71st Horatio Alger Award Induction Ceremonies in Washington, D.C. The annual three-day event honors the achievements of both Members and National Scholars, affording both groups the opportunity to meet and interact, exchanging stories of hardships and triumphs. For more information about Horatio Alger Association and its Member Class of 2018, please visit www.horatioalger.org.